« What is Water Baptism? Today we will be looking at ” Jesus the lion lamb ” from Revelation chapter 5 and the scroll with seven seals. 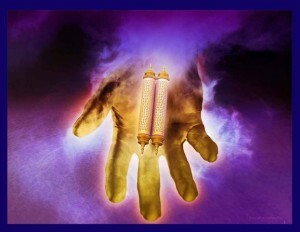 In Revelation 5:1 the One sitting on the throne, (God) has a scroll in His hand sealed with seven seals. The scroll itself contains the title-deed to the redemption of the earth, Israel, the church and the whole universe. God’s plan and design to bless and to perfect in every way is so complete that there is NO MORE ROOM either inside or outside the scroll for anything to be added to his purposes! All these blessings are released to us through our lord and Saviour Jesus Christ in the covenant he made with his own precious blood. Oh, may our eyes be opened to see more and more with spiritual vision the plans that God has for those that love him, ( 1 Corinthians 2:9). We and all men might well weep and all be wretched and sad if there was no Christ, no Lamb to overcome for us; no scroll with seven seals opened! But we do not need to weep. We can rejoice that God has released such a glorious destiny to each one of us through Jesus the lion lamb sacrificed for us on calvary! We have so many, many blessings Amen. God tells us who believe, ” Dry your tears away “. Tagged dry your tears away, jesus the lion lamb, the scroll with seven seals. Bookmark the permalink.